Print catalogs and catalog companies have not endured the modern age of Eco, Techno or electronic media and the “have it now” generation. 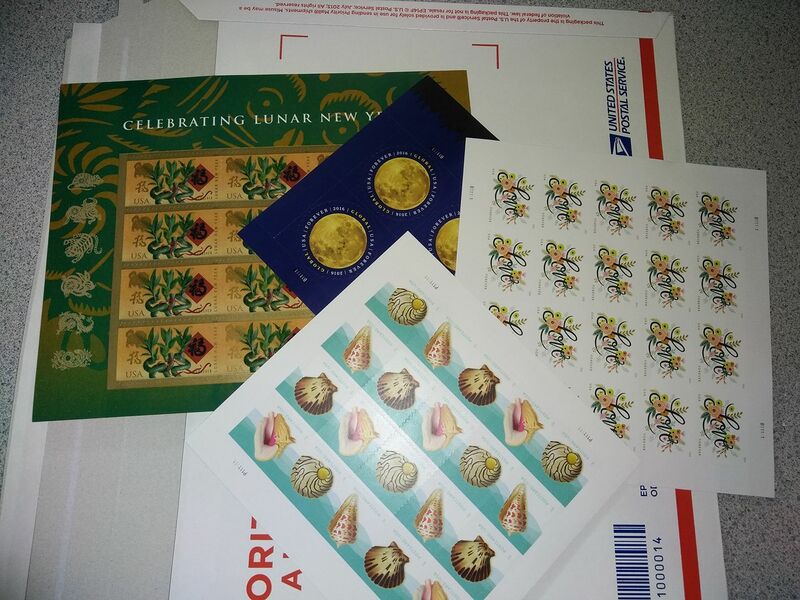 Although not a collector, I like to order the commemorative and seasonal stamps. In re-imagining the Philatelic cover, I converted it to an artvelope, or shall we say a pair of “Sharkvelopes”. #artvelope Two cut from the Shark centerfold! Stamp Increase!! Thanks to member, Heather S, for reminding us that ordering now will save you a bit. She ordered hers early! Rates Increase 1/21/2018. Enjoy the upcoming 2018 Month of Letter Challenge! 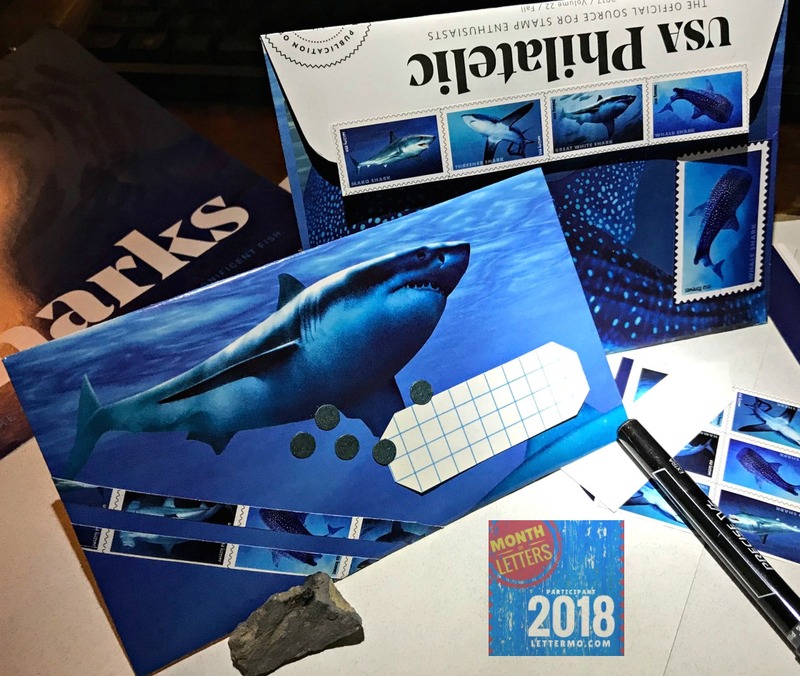 The Forums are now open for topic posting, introductions, and more Lettermo 2018 information, including the Participant Badges, Calendar, Sheet of Stamps and more!